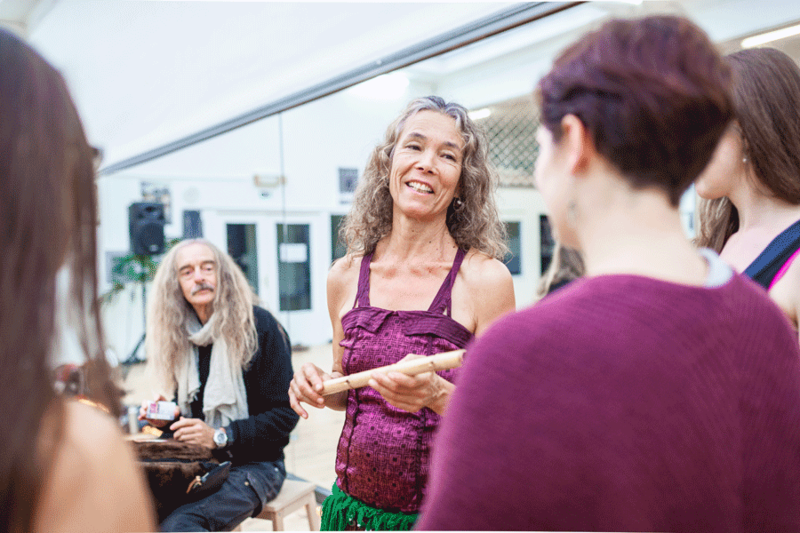 "Music class with Mark and Ling was amazing; they are very generous and accessible." Come and learn this dynamic duet to hone your performance skills! You will play six typical rhythms with variations on a trade off with the percussionist. Ling Shien will teach a basic choreography, to which you can add your own variations. It is a 2 part workshop, (2 times 2 hours). Part 1: Drilling the rhythms we’ll be using, applying steps to them, internalizing them in your body, we’ll work on sound quality as well. This first part can be taught separately ( cymbals, percussion), or Mark and Ling together, depending on the logistics. Part 2: Putting them together in a Drum Solo format. Guaranteed fun! Ling and Mark both. "Percussion Duet with Helm - OMG, SO GOOD!! Bring them back again and again!" Students performing to the song, Hosanni Oo, with finger cymbal patterns and choreography taught by Ling Shien. Video by Caro Reyes Campos. You can choose from these groups: ♦ 2/4, 4/4, & Upper Egyptian ♦ Malfuf Pulse, slow and fast ♦ Moroccan plus 3/4, 6/8, and 9/8 ♦ Odd Rhythms (7/8, 9/8, 17/8 etc…) After a dance warm up using rhythms from you chosen group, we'll play along, using cymbal patterns in call and response mode, and learn to dance playing sajat. Then we'll add a simple choreography to a Helm song. Instructor: Ling Shien. "...I loved Ling’s energy and her passion for music is contagious." 1. How to actually strike the drum and play without pain; 2. Basic techniques: doums, teks, ka's, pops, and other methods for changing sounds; 3. Primary rhythms, including ones that will be used in the dance/zil workshops: maqsoum, karachi, malfouf, masmoudi kabir and baladi, ayoub, etc; 4. How to play with concept. 5. How to self correct as you play, and the basics on how to play musically. Instructor: Mark. "We felt that Mark was patient, thorough, and broke things down in a way that didn't make us feel inferior in our skills."